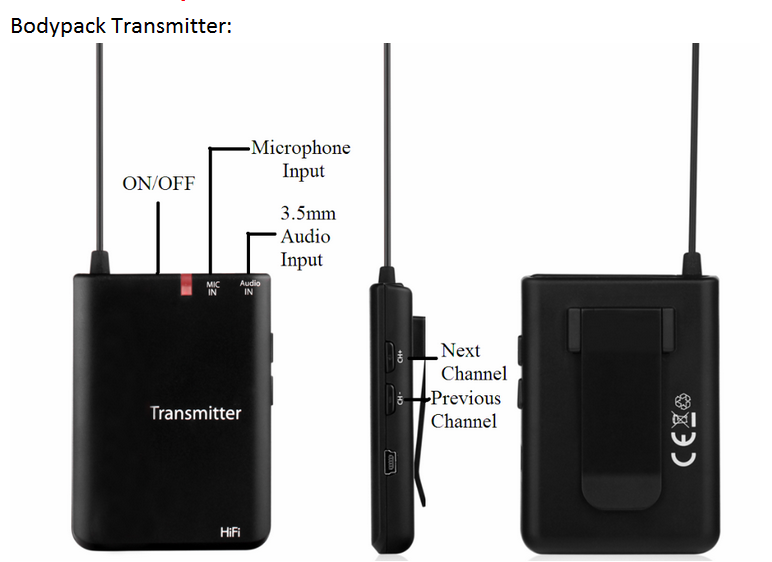 Work frequency: UHF 863Mhz/915Mhz, perfect for wireless guide or fitness use, which is very slim and compact(8cm*5cm), with removable belt clip. 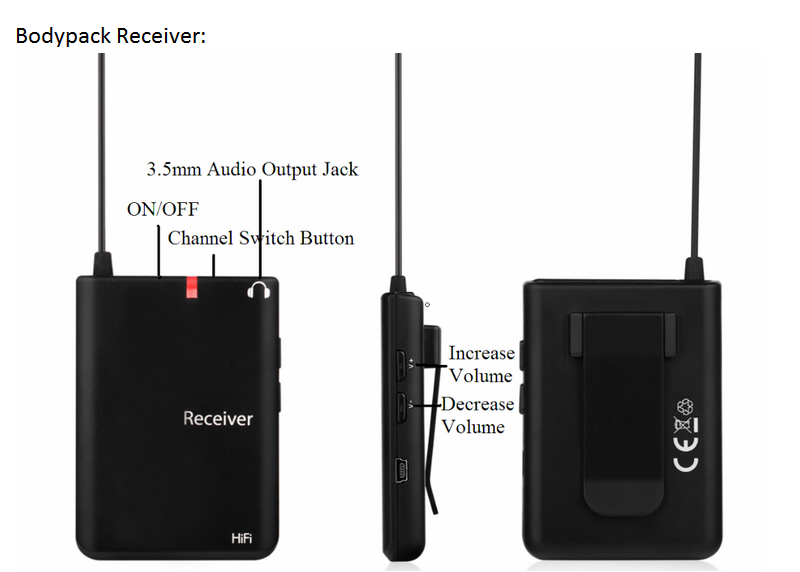 When using this wireless audio receiver, connect the RF wireless transmitter to the Cardio TV (or any audio source) first, and then, plug your earphones into the audio receiver's 3.5mm jack, you are almost there. 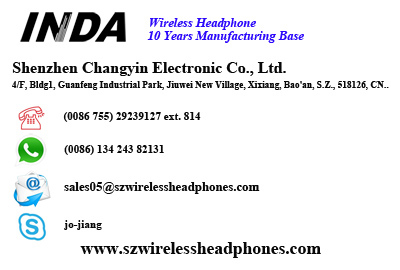 The transmitter can support virtually unlimited numbers of wireless audio receivers and has a radius of 100 meters. Color box, blister box, clamshell box, gift box with window, carry case etc., customized welcome. 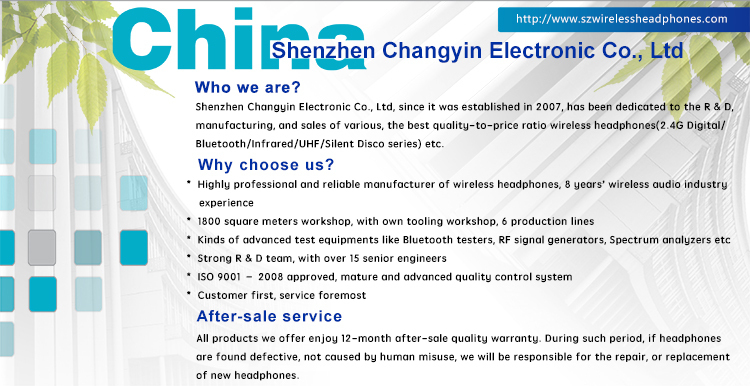 Q1: What's the warranty of your Wireless Body Pack System? Q2: What’s the distance of your Wireless Body Pack System? Q3: Where body pack can be used? 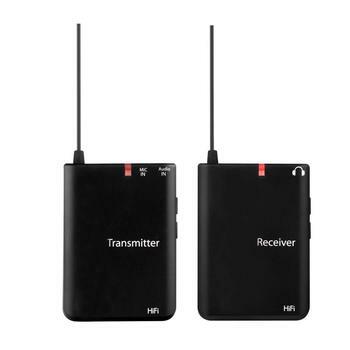 A: Guide, Education, Athletes, Public Square dancing, etc..
Q4: How many pcs of receivers can be used for one transmitter? A: Endless, as long as the space can hold so many people. Q5: How can I pay? Q6: How long does it take to receive the goods? A: 3-30 days depends on stock status.